I am not intend to make somebody jealous or whatever the bad feeling or unsatisfied feeling you have there ok? 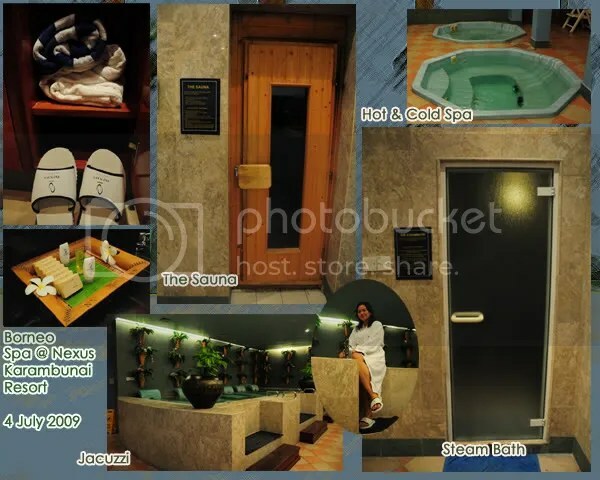 Before you said, ‘ee.. jeles sya si girl pigi spa tidak bawa orang’ or ‘cheh.. setakat spa.. apa juga tu’ and even maybe ‘yaii.. show off laitu’.. No.. please do not say so, coz whatever I experience in Borneo Spa was like a jackpot to me! Thanks to miss Jaswine and Miss Barbara for this great invitation! 😀 Frankly speaking, I never been to a SAUNA session before and I think I fall in love with Sauna.. I love sweating in Sauna Room.. a lot more relieving rather than sauna-ing in your car while looking for parking. And I am doing it for free. No joke. 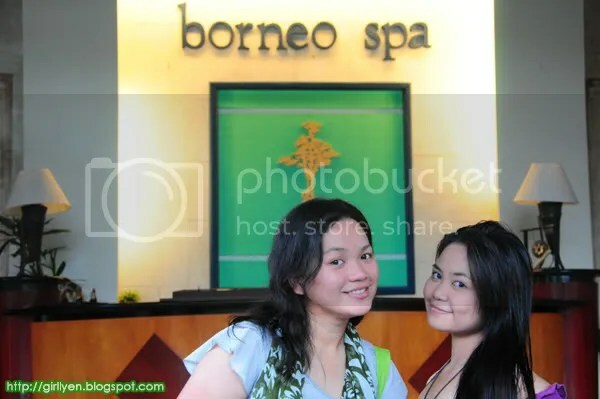 Sakai bah, jadi berabis la bergambar.. haha..
For more information about Borneo Spa, kindly link yourself to Borneo Spa @ Nexus Karambunai Resort some say it’s heaven. I did talk about hell while inside the sauna room, I guess it is a lot more better than hell. Somehow somewhere. I miss someone who close in my heart. berapa la mau bayar ?